Semi-rural acreage only 6 minutes' drive to Sawtell Beach. Located in the sought after Middle Boambee Valley, this Colonial homestead and granny flat combination could suit buyers looking for accommodation for their extended family, a B&B for extra income, investors looking at the multiple rental opportunity or those just wanting plenty of space. A sunny and fully usable block measuring 6342 m2 (over 1.5 acres) offers you easy access parking for large trucks, caravans, motor homes or boats. This property could also suit tradies who could utilize the massive 9 m x 9 m shed/workshop located at the rear of the property which features mezzanine storage and three phase power. The home design provides you with all the living areas of the home on one level. An open plan kitchen – meals – family area opens to a covered verandah and entertainment area that overlooks the magnificent, family size pool. There is also a formal lounge – dining area, perfect for entertaining friends and family. Near the entry is a huge 6 m x 3 m study that could serve as a home office with NBN connection or a fifth bedroom. The kitchen is the hub of the home being central and of grand proportion for the budding chefs. From the kitchen you can view all indoor and outdoor living areas, which includes a view to the pool. Downstairs there is a fully self-contained granny flat which can also be accessed independently of the main home. There is also a huge 7.5 m x 5.5 m garage and a tandem carport. Energy efficiency is covered with a 300 litre Apricus Solar HWS, 6 kw solar power system and there is a permanent bore with potable water supply. The current owners have made recent improvements to the home such as adding six kilowatts of solar power (still under warranty), fitted new air conditioners to bedrooms, fully renovated the granny flat, started improving the grounds and gardens and the inground pool has been resurfaced. There are still some renovation items to be completed on this character filled home, but it’s waiting for you to add your special touches. They are off interstate for a career opportunity and sadly won’t be able to enjoy the finished product. 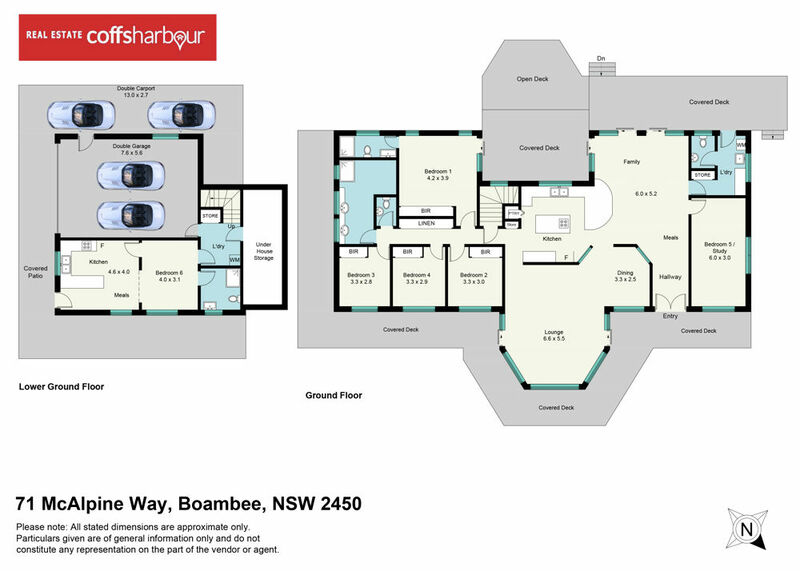 Located close to Boambee School the kids can walk to school or the bus runs past the front gate. Approximately 6 minutes’ drive to Sawtell Beach or 4 minutes’ drive to Toormina Shopping Centre and 10 minutes’ drive to airport or Coffs Harbour CBD. You just feel so relaxed living in this peaceful environment and this property offers you a great sense of space with good privacy. Search on realestatecoffsharbour.com.au for more details.